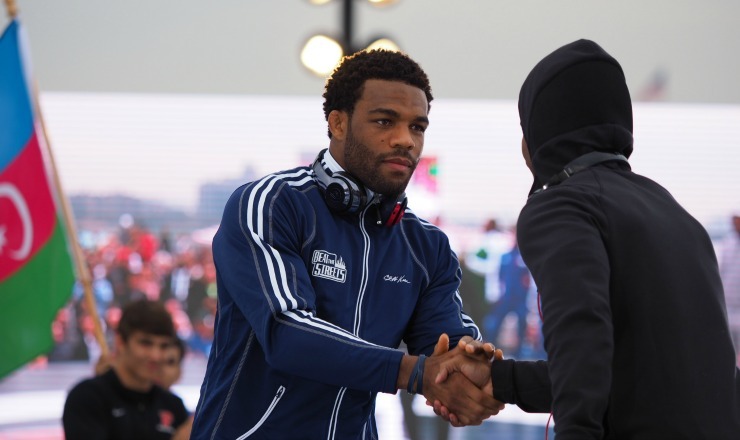 NEW YORK — Two of the most decorated and well-known recent Olympic wrestlers will square off for the first time as 2012 gold medalist Jordan Burroughs takes on 2008 Olympian Ben Askren as part of the 10th annual “Grapple at the Garden” Beat the Streets (BTS) benefit at Hulu Theater at Madison Square Garden on May 6. Burroughs, who has competed at numerous past BTS events, will battle Askren, who has parlayed his wresting talents into a strong mixed martial arts career in the UFC and other promotions, at 74 kilograms in the highly-anticipated matchup. Tickets for the evening’s action are available now via TicketMaster, priced starting at $30 at https://www.ticketmaster.com/event/3B005668AA091B69. A variety of donation packages which include”Grapple in the Garden” tickets are also available at https://www.btsny.org/btsevents or by emailing molalde@btsny.org, beginning at $1000. Doors open on May 6 at 5:30 p.m., with the main event starting at 6 p.m.